And as poetry is her way of expressing deeper feelings, in ‘A Leader with Vision,’ she commemorated the 40th National Day of Sultan Qaboos bin Said. Especially with the poem of the ‘Sultan Qaboos Rose,’ with the red rose given by the nation to His Majesty, she gratefully describes her thoughts about her country she caries in her heart. 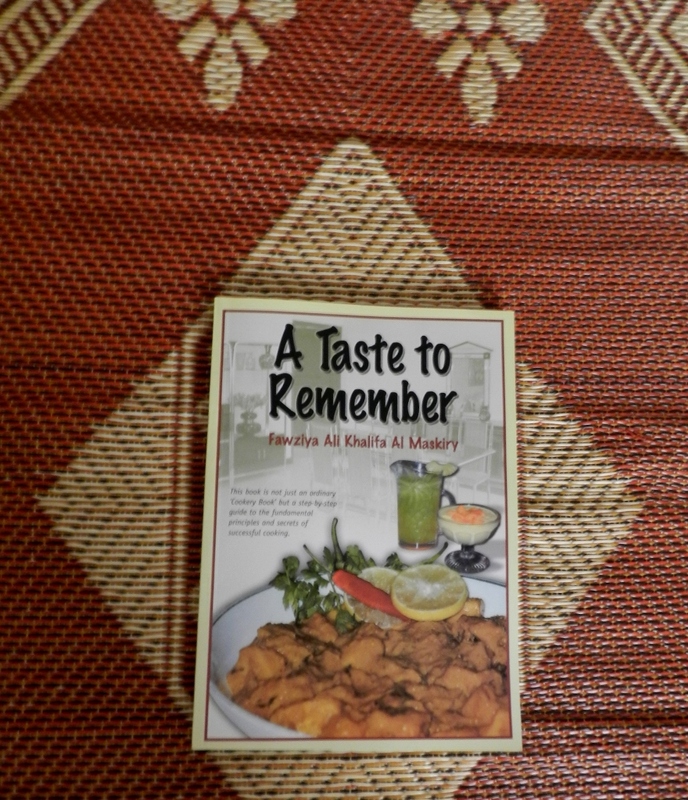 With ‘A Taste to Remember,’ Fawziya became the first Omani to publish a cooking book in English. A step by step guide to the secrets of successful Omani cooking. Spending precious time, she thoughtfully considered the recipes. She wrote them out in detail without making them to complicated. Everybody, even me not a real cook at all, can rejoice a mouth-watering experience of a great heritage too. The third edition of ‘A Taste to Remember,’ coming soon, will be available in bookshops and supermarkets in Muscat. 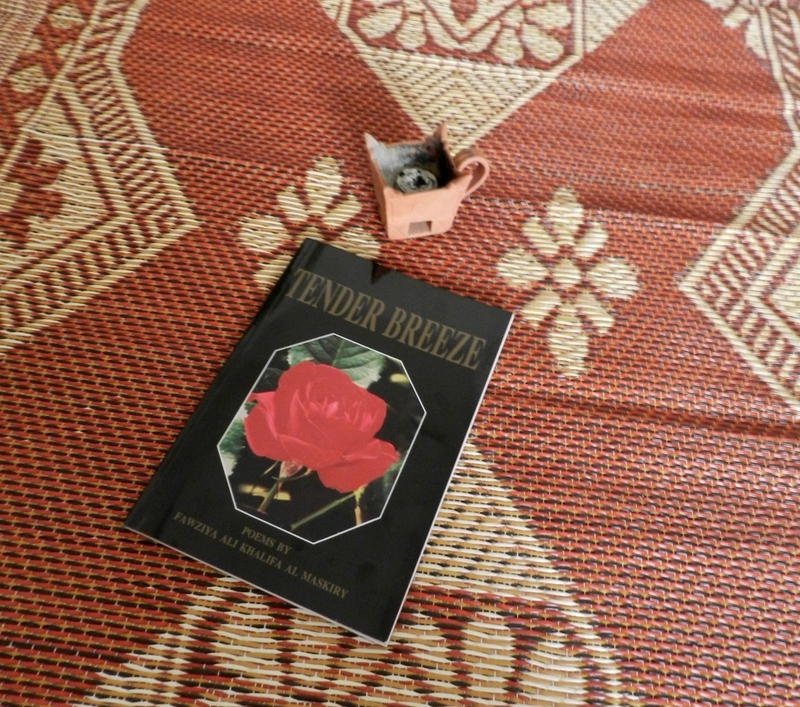 Tags: A Taste to Remember, Dhofar, khareef, Muscat, Oman, poetry, Salalah, Salalah Festival, Sultan Qaboos bin Said, Tender Breeze. Bookmark the permalink.